Acupuncture has been used for thousands of years throughout many parts of the world. But despite its long track record as a successful treatment for a host of maladies and overall wellness, for many people in the west it continues to be misunderstood and relegated to the sidelines of medicine. 1. Acupuncture works by stimulating specific points on or near the surface of the skin, called acupuncture points. These points have high concentrations of nerve endings, mast cells, lymphatics and capillaries, all capable of triggering biochemical and physiological changes in the body, from the subtle to the dramatic. When a needle is inserted into an acupuncture point, it stimulates the sensory receptor and sets off a chain reaction — the sensory receptor stimulates the nerve, which in turn transmits impulses to the hypothalamic-pituitary-adrenal system. This complex system of interactions between the brain, hormones and glands is a powerhouse, responsible for regulating a number of bodily processes. One of the processes that acupuncturists commonly work with is the release of neurotransmitters and endorphins, the body’s natural pain-killing hormones (thought to be some 200 times more potent than morphine!). Endorphins play a significant role in the hormonal system, which is why acupuncture is effective in treating back pain, arthritis, PMS and even infertility. Acupuncture is also used to release substances that relax the body and regulate serotonin, which affects emotions. Other physiological effects include increased circulation, decreased inflammation, easing of muscle spasms and increased T-cell count, which supports the immune system. 2. Qi (pronounced “chee”) plays a vital role in acupuncture, and there’s a lot of misconception about the concept. In modern and traditional Chinese medicine, qi is used mainly as a metaphor for metabolic function. For example, “heart qi” would refer to functions of the heart and cardiovascular system, and “ancestral qi” refers to genetics. Most modern practitioners are well-versed in the Latin science and disease terminology of Western medicine, and will often use this language. 3. Acupuncturists undergo extensive, rigorous training that incorporates both Eastern and Western medicine. Acupuncture is a respected field of medicine, and most states, provinces and countries require formal training and certification. The U.S. has particularly rigorous standards. Most states require completion of approximately 3,500 hours of formal education from an accredited acupuncture school. This usually leads to a four-year Master’s degree in Acupuncture (M.S.A.C.) or Traditional Oriental Medicine (M.S.T.O.M.). In addition, licensing requires written and practical state and/or national board exams. Training includes all aspects of Western medicine and Traditional Oriental Medicine. Some acupuncturists pursue an advanced doctoral degree, the Doctor of Acupuncture and Oriental Medicine (D.A.O.M.). The highest degree available in the U.S., the D.A.O.M. requires an additional 2,500 hours and two-and-a-half years of schooling. 4. Almost everyone can benefit from acupuncture. Regardless of your health history and physical background, almost anyone is a candidate for acupuncture. If you have an ailment, acupuncture can help relieve it. 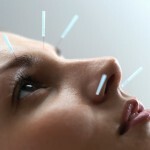 If you feel well, acupuncture can help you maintain wellness, boost immunity and manage stress. Acupuncturists are trained to work in collaboration with your MD to coordinate treatment. Patients very often see greater improvement in their condition when treated by both an MD and an acupuncturist. 5. Acupuncture is a form of therapy. As much as I’m tempted to believe it because of the amazing results I’ve seen, acupuncture is not magic. In reality, it is a form of therapy and should be seen as such. As with any therapy, such as physical therapy or psychotherapy, there is always a treatment plan. The practitioner works with the patient to decide on a plan that best fits his or her needs. This may involve just a few sessions for simpler issues or long-term management for serious chronic conditions. Given its 2,500-year history and myriad uses, acupuncture is a fascinating topic, worthy of in-depth exploration. You can learn more here.